The effect of disability on every child is unique. Many children with disabilities have difficulty being motivated to learn and do things that don’t intuitively seem like things they should value. Ask me to run a marathon and you probably won’t see me jumping up and down in excitement. I can run, but it’s not something I love. However, tell me that you are going to give me a new car if I run a marathon, and I’ll start training tomorrow. Motivation is a key component to life. Typically-developing children as well as those with disabilities do not come pre-programmed to value learning God’s Word or memorize catechism questions and Bible verses. That’s part of the teaching-learning process. 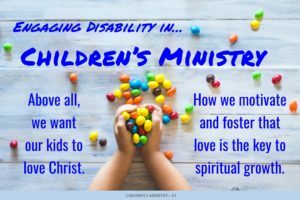 In children with disabilities, the process of imparting the value behind discipleship is more complex and often takes longer. If you have a child who loves airplanes more than anything else, but there are no airplanes at church, then church probably won’t be a place that he loves. However, that same child might be delighted to work for a few minutes for a toy airplane as a reward for sitting during the Bible story. Learn your students and use what they love to add motivation and value to what you want them to learn. I am thrilled to introduce our new website! This ministry began in 2007, through the gifted vision and leadership of Stephanie Hubach. She approached Mission to North America (MNA) with a vision for engaging churches across the PCA in disability ministry. The MNA leadership enthusiastically embraced this mission and called Steph to begin MNA Special Needs Ministries. In September of 2016, I took over as the new director of the ministry and was tasked with figuring out the path forward for the next ten years. We are thrilled to launch the first big step forward – a new name! Our News is the place where we will discuss many topics related to disability ministry. We will tackle everything from theology to practical how-to steps. But the essential part of our discussions will always be the gospel. One question we will tackle initially relates to “first steps” that churches can take to move forward in starting their disability ministry. Parents, we will also have a series for you. Look for a coming article on developing realistic and gospel-centered goals for church involvement. 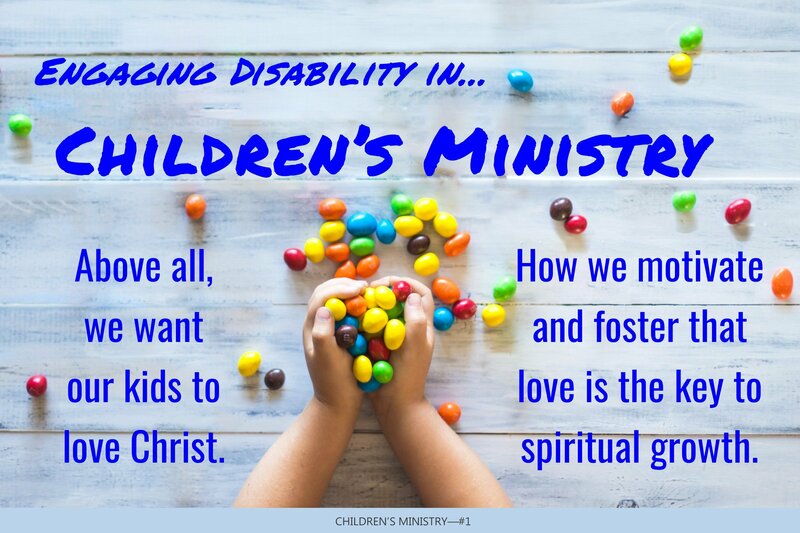 As a preface to all of the practical articles to come, let’s begin with reminding our hearts of the goal of disability ministry, both in the home and in the church. Here’s a hint: it’s not about having the knowledge you need in order to relate to or help someone with a disability grow in their faith. MNA Special Needs Ministries has turned 10 years old! Through the vision and leadership of Stephanie Hubach, we have been engaging congregations in disability ministry since 2007. Founding director, Stephanie Hubach, is following her passion for educating others and has become Research Fellow in Disability Ministries at Covenant Theological Seminary. Ashley Belknap from Brandon, MS took over as our new director in September 2016. We have also added another associate director, Kristen Harnly, from Philadelphia, PA.
We have several new means to express who we are and what we do: a new website, news updates, updated Facebook page and other social media. We’re also upgrading our newsletter distribution. Before too long we’ll open an online store with innovative resources we’re currently developing. And soon we will be expanding the resources that we offer for free download on our website. The gospel changes everything – including disability. Every time we see people with disabilities respond to gospel by coming to faith in Christ or by growing in his or her faith, we are engaging disability. Every time we see a church apply the gospel in all its ministries to enfold people touched by disability, we are engaging disability. We are here to serve the 1,900+ congregations in the PCA. Let us come alongside you as you seek to reach and enfold people with disabilities and their families in your congregation and community. 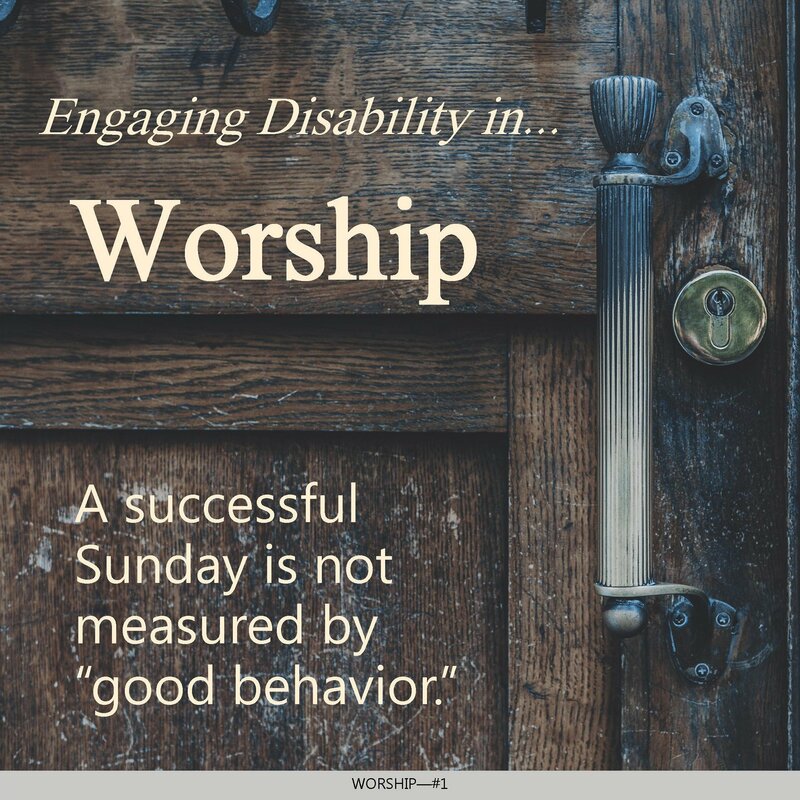 Please tell us if your church is doing disability ministry. Ministry to one person or one family touched by disability is disability ministry! Please connect us to families in the PCA who are experiencing challenges in being enfolded into church body life. We want to encourage them and help them thrive. 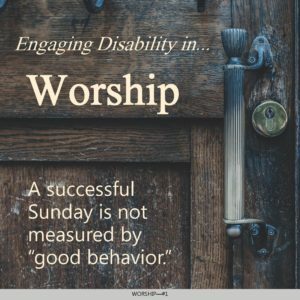 Please tell us how we may help your church welcome people touched by disability, love and disciple them well, and make them an integral part of your congregation. We are here to serve and help.